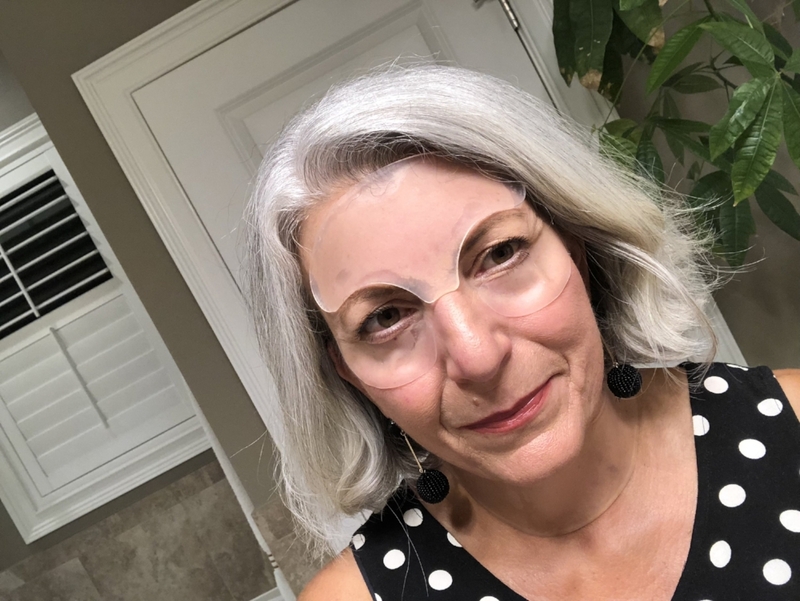 When SilcSkin recently approached me about testing their product (100% medical grade silicone pads that remove wrinkles), I was skeptical. Why? The reviews, the raves and the feedback are pretty spectacular and are a promoted as a proven alternative to injections, laser treatments and surgery. You can read more here, but in essence, wrinkles are treated as scars by hydration, improving the collagen structure and flattening them out. I had to try these out for myself... and for you! When the product arrived, I was very pleased to find that nothing I read said anti-aging. Woot Woot! As that is a big no-no, in my book! As you can see below, they sent pads for the neck, face, eyes, and decollette. I have been trying out each product over the last 30 days and have to say that they truly live up to their promise. I have seen wrinkle decreases in all the areas treated. Each pad can be reused for approximately 15 days. If I had to pick a favorite, it would be hard to do. I love the non-oily cleanser, which is suggested before application, and each product delivers. 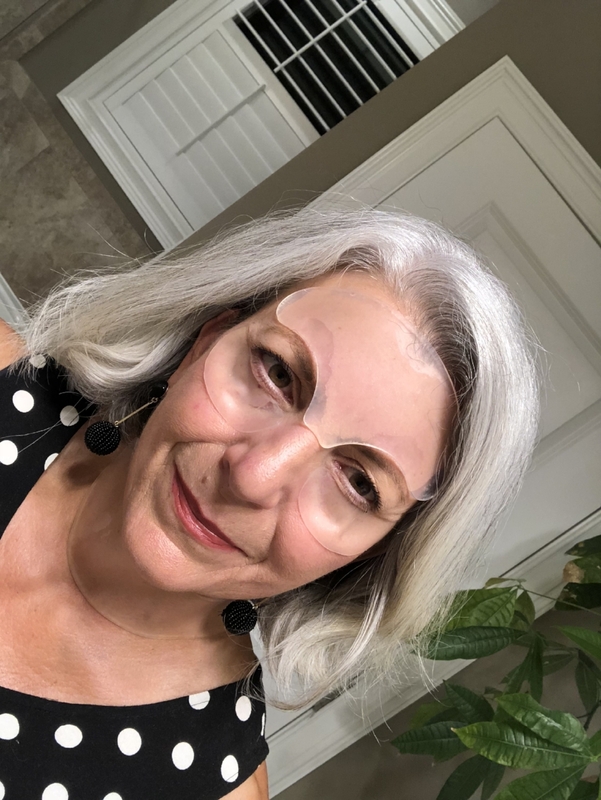 The eye pads also help with puffiness which is great as I battle this one puffy eye. Surprisingly enough, the hand cream is my go to... I really can see a difference in my hands, too! I have taken the liberty of modeling the pads for you but I dare say, that you and Mr. Silver are the only ones to see me in these. Definitely, for night time wear only (and they did not affect my sleep.) Thank goodness. If you are looking for a product to help decrease wrinkles, I give SilcSkin two thumbs up. I was hoping to provide a discount for my readers so check back as I will post it here! Thank you to SilcSkin for sponsoring this post about ageless beauty! I hope you are having a great week and if you recently joined... welcome!! My goal is to share ageless style, and endless fun, from a sincerely silver perspective. Including fashion, beauty, and relevant lifestyle information as we share this journey together! Thank you for reading my blog!